Dr. Dieter Burr is a Cocoa, FL dentist and the owner of Advanced Dental Care. 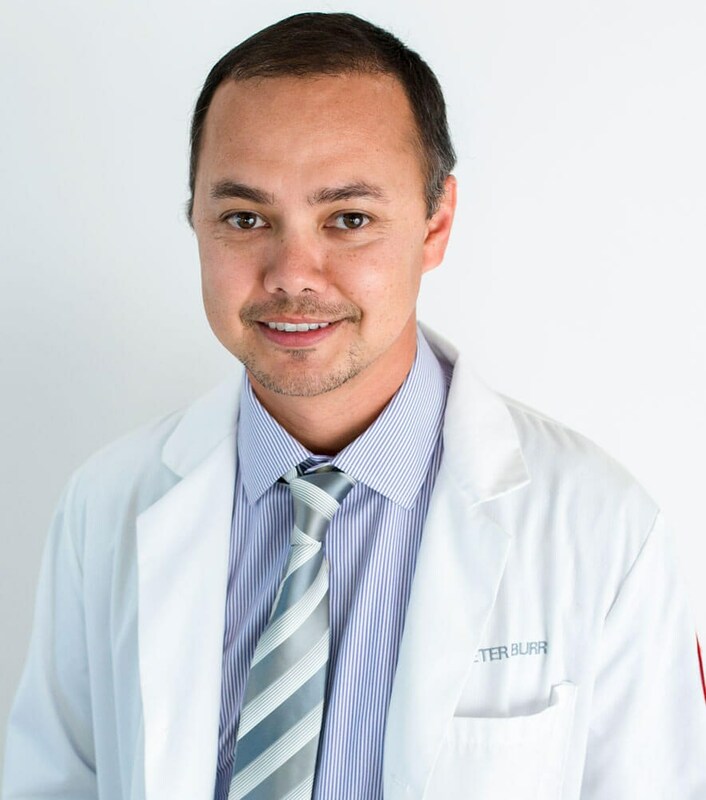 Dr. Burr is a certified doctor of dental medicine and graduated from Temple University in Philadelphia. He has been practicing for nearly a decade and is so pleased to be serving the Cocoa area with state-of-the-art dental care. Recognized for his excellence, down-to-earth bedside manner, and attentiveness, he provides unparalleled dental care for patients of all ages. Dr. Burr has performed countless dental procedures and has years of extensive experience and training. His specific skill set and knowledge allows him to perform general, cosmetic, and restorative dental treatments that improve both the function and aesthetic of the smile. Your oral health and comfort are his greatest priority. At Advanced Dental Care, we offer a wide range of general and cosmetic dental services to suit the diverse needs of our many clients. From professional cleanings to dental implants, our team has you covered. With the leadership of Dieter Burr, D.M.D. and the expertise of our staff, we are able to perform high-quality dental procedures in our state-of-the-art facility. Our mission is to provide modern dental care to you and your family in a safe, relaxing environment. Your comfort and oral health is our top priority. We invite you to call our dental office in Cocoa, FL to schedule a consult today. We look forward to meeting you and helping you achieve that gorgeous smile you deserve. Dental procedures that optimize the function and health of your teeth, gums, and jaw. Restore your look with dental treatments like implants, dentures, bridges, and crowns. We offer a variety of cosmetic treatments including teeth whitening and porcelain veneers. Ease your dental fear and anxiety with oral-conscious sedation or IV sedation for comfort. Cutting-edge procedures geared toward patients who have gingivitis and periodontal disease. We offer several oral appliances to help straighten and protect your teeth for a gorgeous smile. Wonderful office. Dr Burr has been excellent from day one. Makes going to the dentist far less agonizing than it used to be. I’ve been coming here for years and years and even after missing a period of time the staff still remembers me, my family and my case and makes going to the dentist actually enjoyable! I can’t rave enough about the care I receive here! I drive 2 hours from out of town just to come here for the quality care! I am very afraid of a dentist, I’m at 50. The Doctor explains everything as he does it. Nice people in office. So far so Great. I have had 1 back tooth pulled. And cleaning. Working on a Crown soon. Loved this dental office! Dr. Burr and his staff were so friendly and accommodating! I drive over an hour just to have Dr. Burr work on my teeth! He really cares about his clients! Browse through amazing before-and-after photos. Discover our latest promos and dental specials. Read countless patients testimonials to learn more. Tour our state-of-the-art dental facility in Cocoa, FL.